Applications: Off-shore and On-shore Gas Stations and Natural Gas Pipelines. 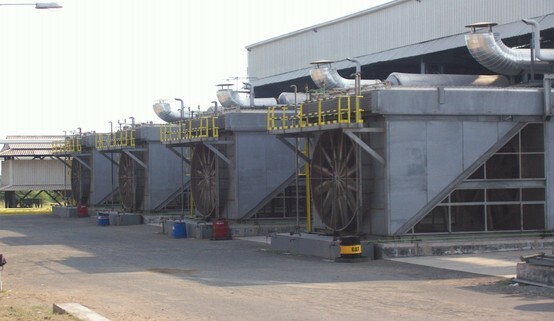 Salient Features:Multiple service composite coolers served by a common bay having engine driven or motor driven fans. Construction:Rectangular Fin Tube Bundles with Plug Type or Cover Plate type headers all having same tube length and mounted on a common structure having an in-built fan drive system with enough space beneath for free suction of atmosphere air. Motor driven units have multiple fans as per API-661 arrangement. 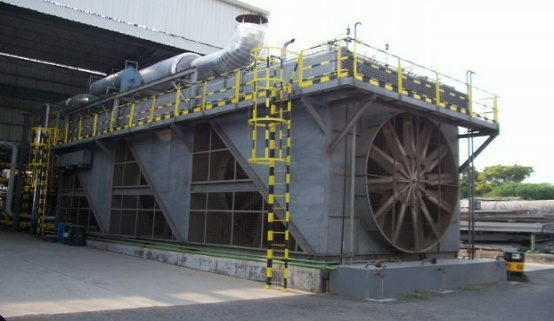 Engine driven units have single or multiple fans mounted on a single shaft which is coupled to the engine shaft through speed reducing belt drive transmission system.